Very creative shot Georgia !!! Gorgeous! Love the reflection and underlying tile pattern. 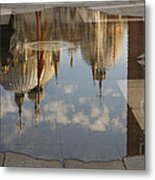 I love it, unique picture! Hope it stays unique for Venice... voted! Acqua alta (Italian for 'high water') in the Venetian Lagoon causes flooding in parts of Venice. 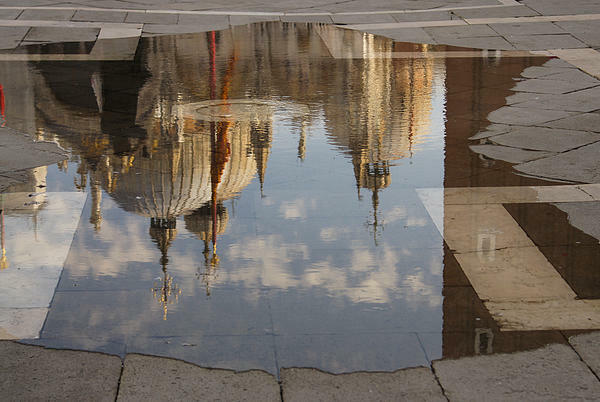 It's an amazing sight: clear, clean sea water bubbles up from the drains on St Mark's Square and slowly rises. 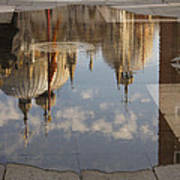 Beautiful reflections of the domes of St Mark's Cathedral.